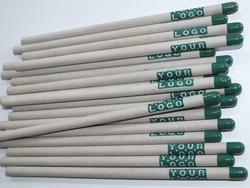 Eco Friendly Pencils made of Recycled Paper with a seed inside. Plantable pencils 100% recycled paper and edible colors. Blooming Pencils Single Seed Pack of 10 - Chilli (Seed). These Plantable Pencils have Chilli seed at one end and made from recycled paper, thus reducing burden on wood demand and further enhancing greenery. 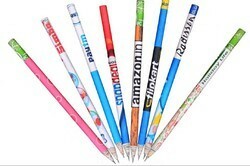 We have gained a remarkable position in the market that is involved in offering Speed Pencil. Once the pencil is too small to write, instead of throwing it, we can plant it. In this way we can teach our kids about plantation and importance of planting. Enriched with years of experience in the industry, we are engaged in offering Plantable Paper Pencil.